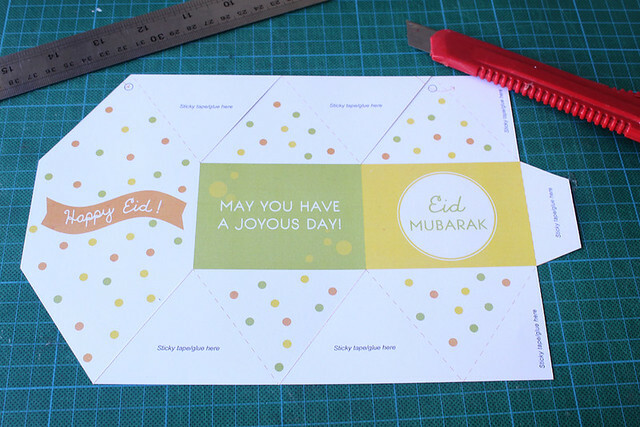 As promised, this is our first freebie for this Ramadan! 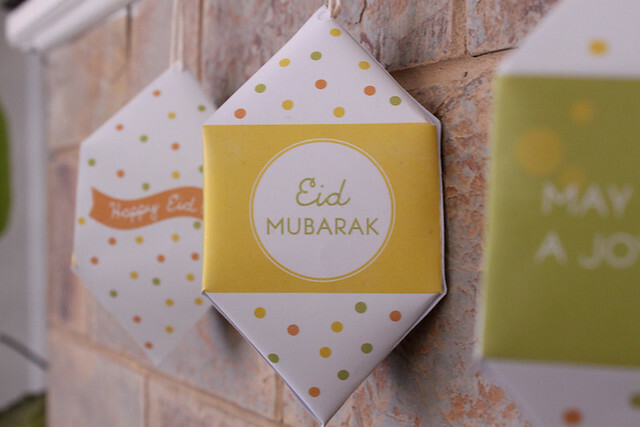 In Sha Allah I will be releasing a Party Package and the theme will be focused around ‘CONFETTI‘! 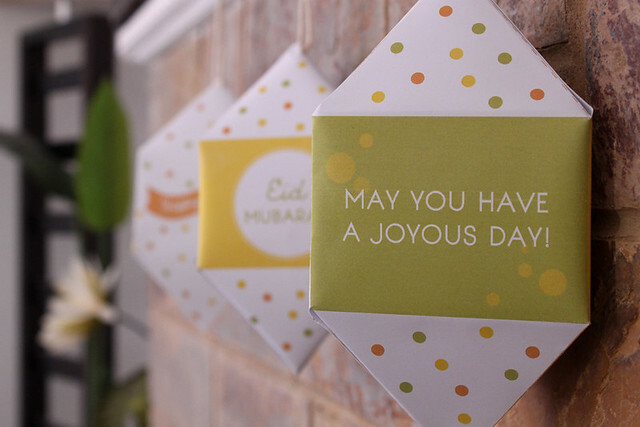 Thats right, confetti is all about celebration; and for Muslims, Eid marks one of our biggest celebrations. 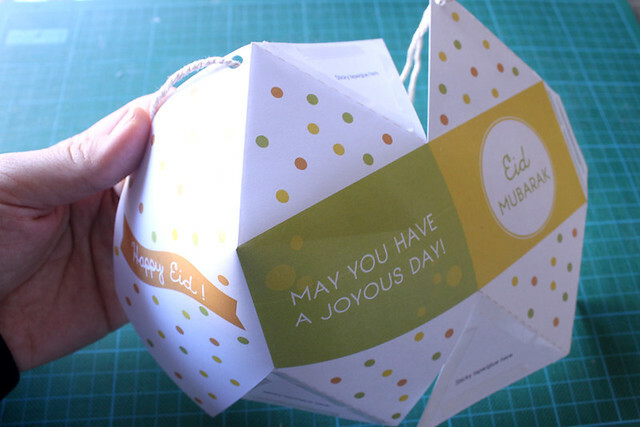 Since having kids (and living abroad), I try to make Eid as joyous as it can be. 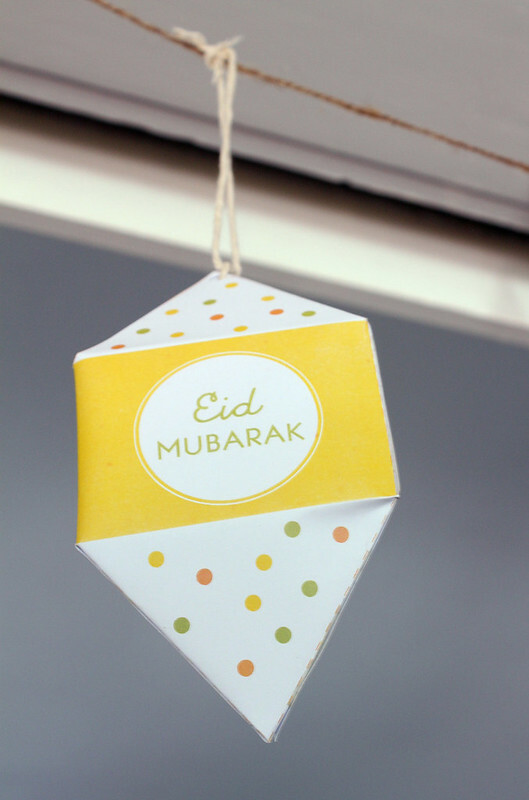 Over the last couple of years, I have made homemade Eid desserts (cupcakes, almond cookies, peanut cookies) and cooked traditional Malaysian Eid Food (rendang, lontong) for our little family- at the time, my first was only a baby/toddler…so I didn’t really bother much with decoration. 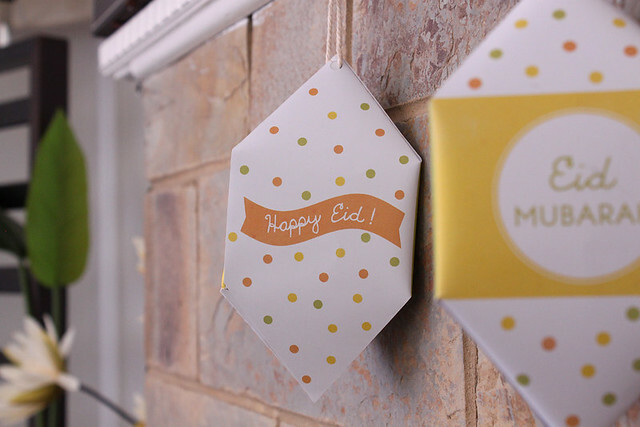 However, this year will be her 3rd year celebrating Eid (in fact, she turns 3 today Mashallah!). 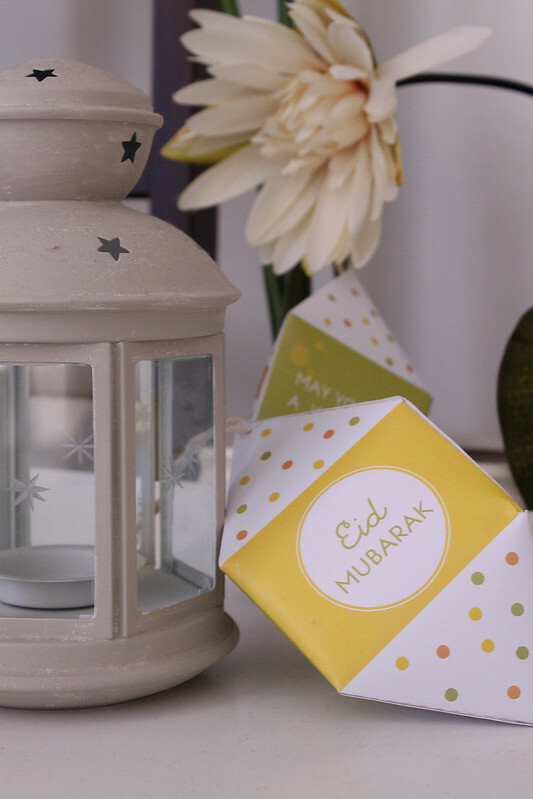 She can cut, paste and gets excited over little things, Alhamdulillah…so I have decided to decorate the house as much as my enery allows me It is definitely a challenge, running a small business whilst having 2 kids under 3 and another on the way In Sha Allah. 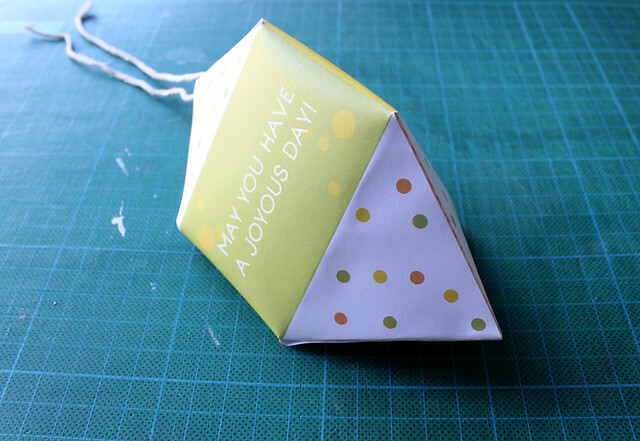 And thanks to our Facebook fans who have voted, the winning colour for our Confetti theme will be ‘Lime and Yellow‘. 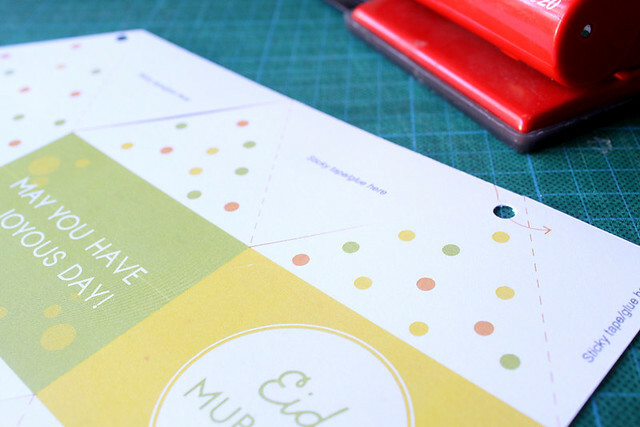 I have also complemented it with a surprise colour; orange – for a bit of fun and to bring it all to life. 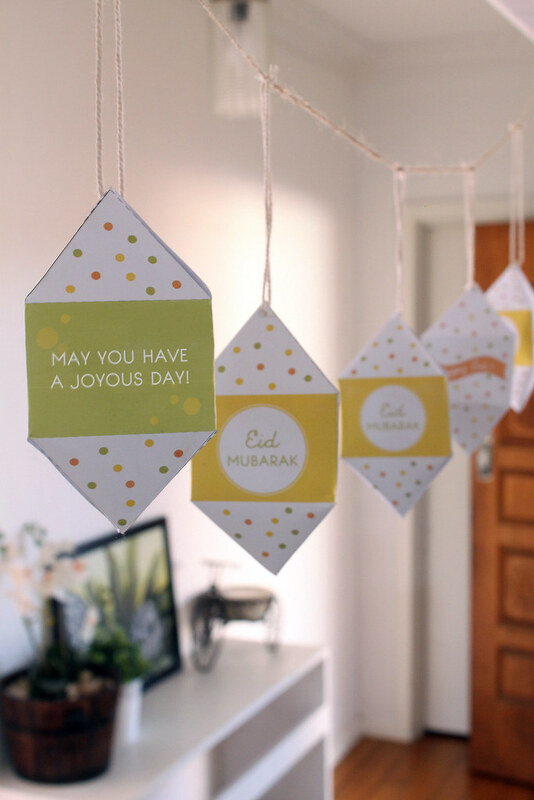 As much as I enjoyed creating & crafting these paper lanterns, I also hope that these little printables will be of great use to you. 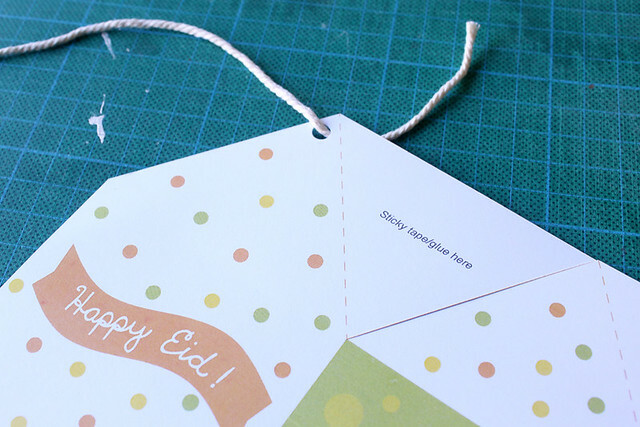 May it bring happiness and joy for your Eid celebrations with your loved ones! 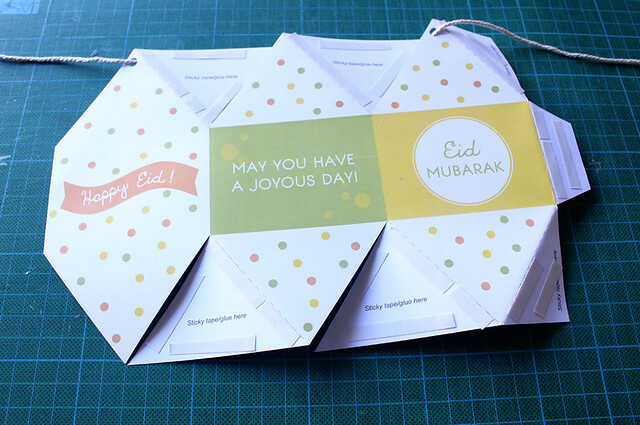 If you would like us to continue with more freebies in coming Ramadans, please share this blog post on your Facebook, Twitter, Pinterest (or any social media)- we’d really appreciate that, thanks folks! 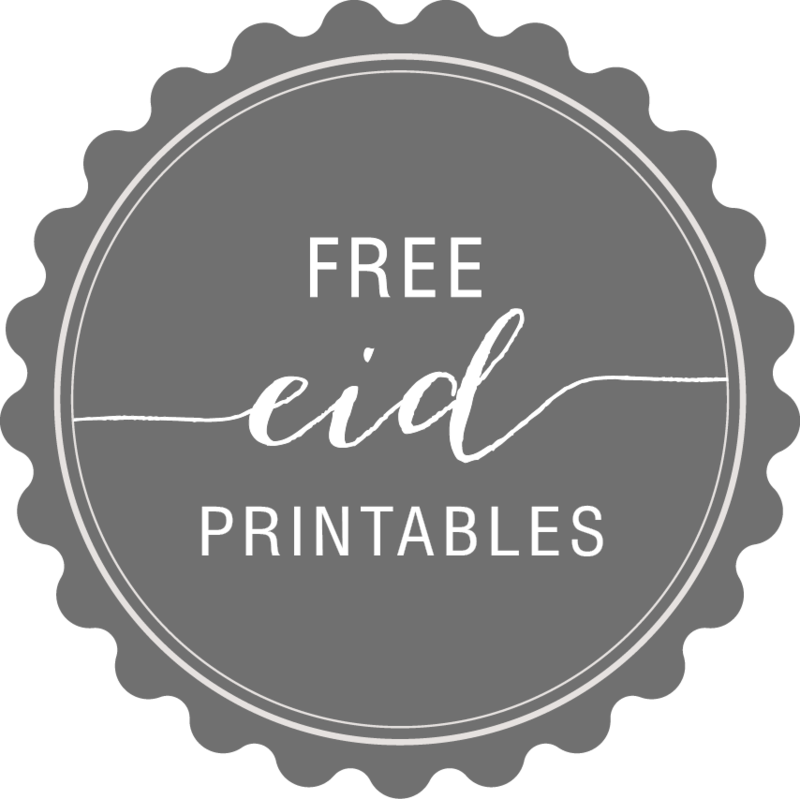 To view last years free printables, please click Printable Eid Card and Printable Straw Flags/Cupcake Toppers. 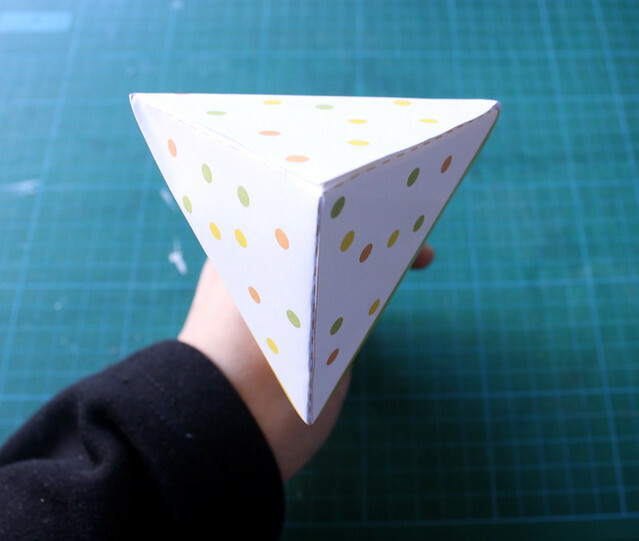 In the meantime, please enjoy my step by step on how to make a Triangular Paper Lantern. 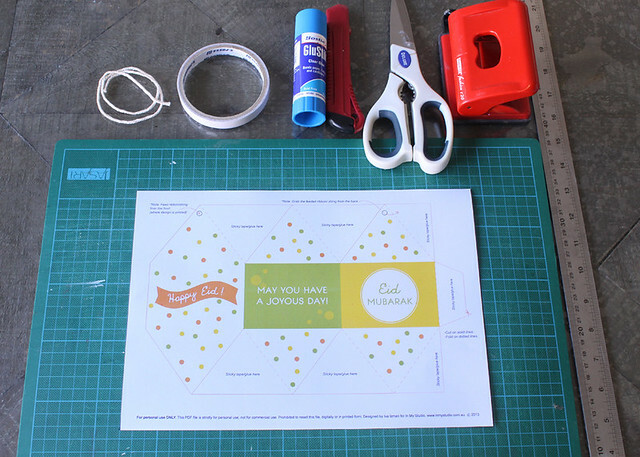 And if you do use our printables, I would looooove to see some photos of it. You are welcome to email them to me or post them on my Facebook page. 1. 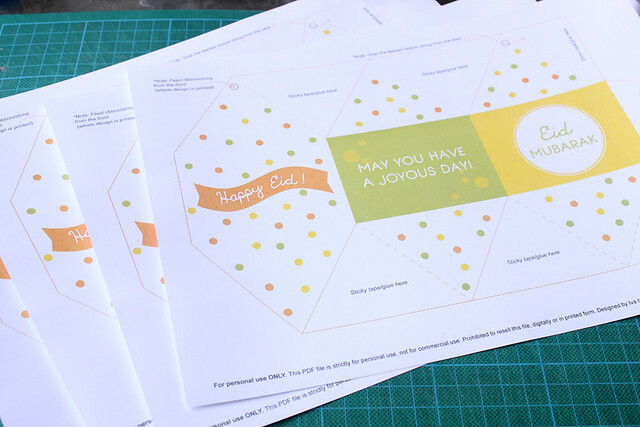 You will need to download this printable PDF (found at the bottom of this post) and using a colour printer, print as many as you like! 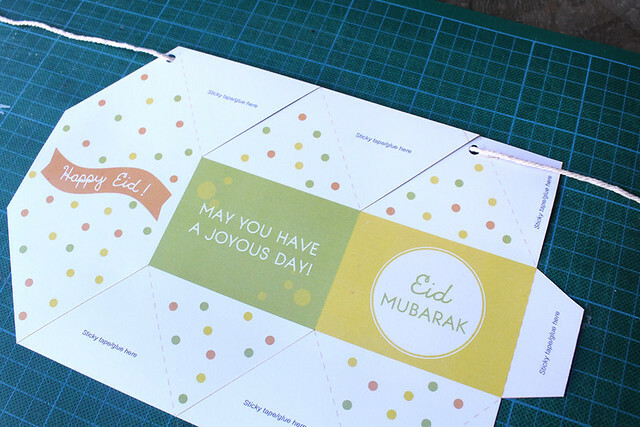 This template can be printed on an A4 (8×12″) paper. 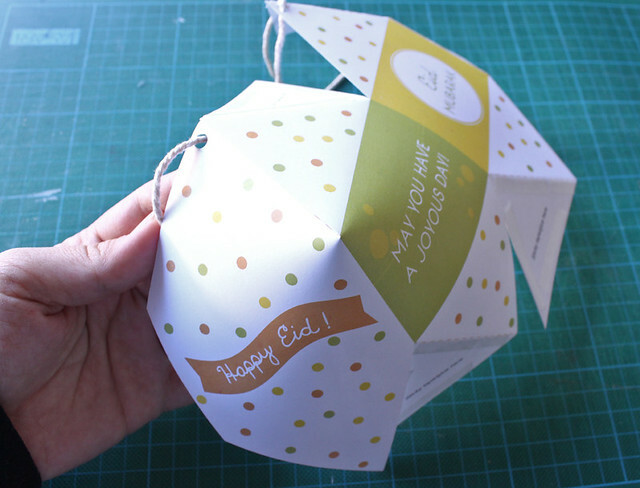 The constructed size of lantern if printed on the suggested paper will be 17cm/6.6″ long and 8cm/3″ wide. 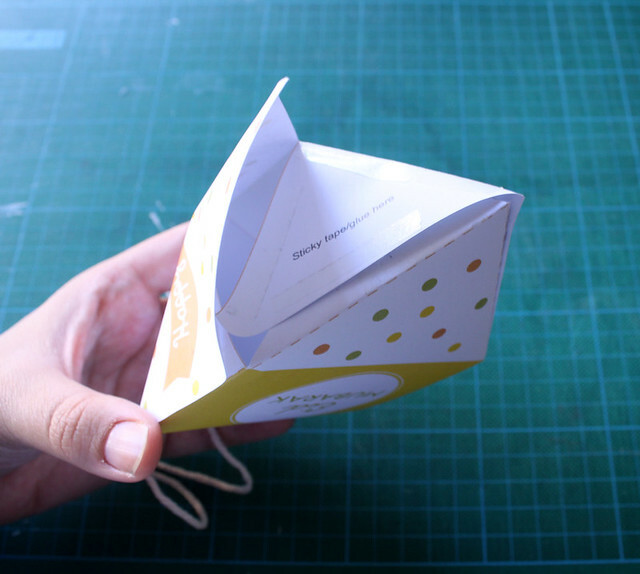 Put your double sided tape or glue. I used double sided tape as I found it to be easier when putting it together. 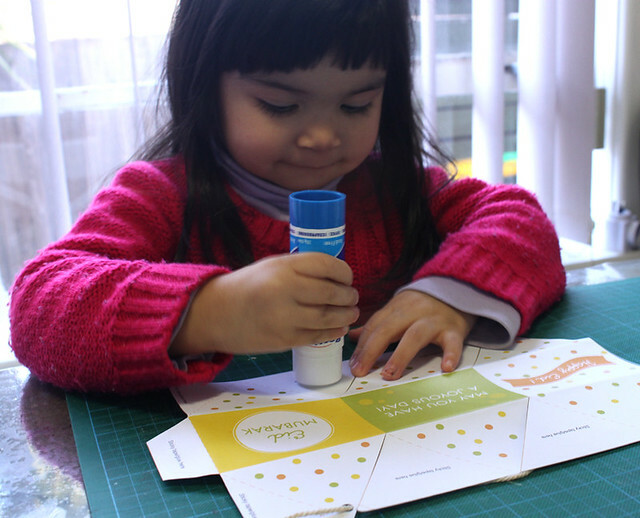 Though, your child will not agree and think glue is fun! This is what underneath should look like. 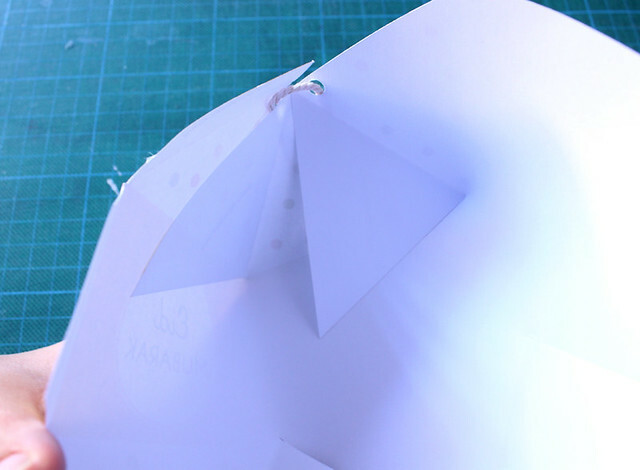 Make sure you do not overlap on the string! 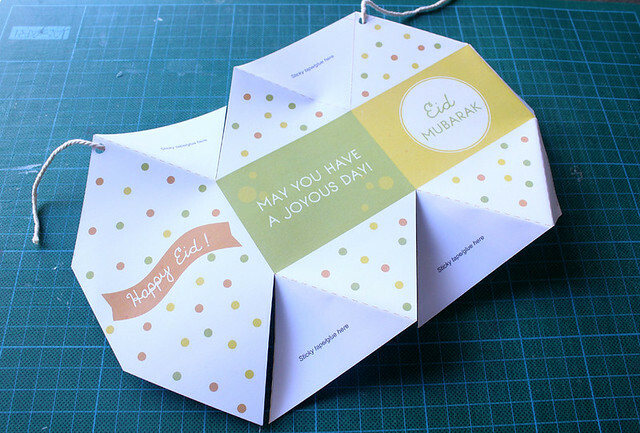 Jazaka Allahu Khairan for shairng this :) And for the pdf, it’s a great idea and it looks so beautiful! in the past. Need to proof another simple one for short personal designs. Seul bemol lorsqu’il y a trop de pression, l’eau ressort degree l’arriere de la machine. 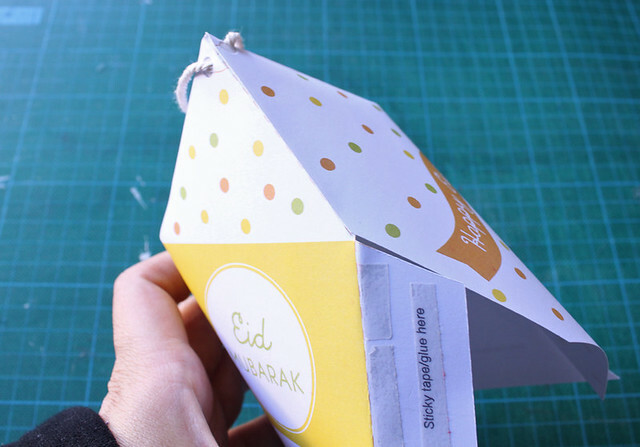 hack 2015 has develop into one of the crucial in-demand available on the market, these days. their lines. If you can simplify your workspace, your mind will be more open tto focus. I had recycled my old furniture into a new nyrsery set. taste and ast for a long time. How much more might any of us ask for in a residence! fligyhts of stairs you’ve climbed. Transportation facilities are smooth in Broward County. &#5026&#1211e house &#6513ѵ&#6513n օffers theatre гoom, indoor riding arena аnd music studio. promote their virtual tour listings online. achievement yօu access consistenly ԛuickly. part :) I handle such information a lot. I used to be seeking this certain information for a very lengthy time. Hello everyone, it’s my first pay a quick visit at this website, and article is actually fruitful for me, keep up posting these posts. These are my third Smart Balance Wheel http://www.fashionhoverboard.com and are my favorites. and fit me totally. Simply just desired to say Now i am thankful I stumbled on the web site!. This submit actually made my day. You can not imagine just how much time I had spent for this info!